If you are an owner of a commercial or residential property it is important to understand the importance of keeping a sturdy roof over your head, and our Southern Illinois roofing experts at 911 Restoration of Southern Illinois are available 24/7/365 to provide you with professional roofing repair services. When you hire our Southern Illinois roofing team you can be sure that all your residential roofing needs will be covered, from making repairs to providing you with a completely new roof. If you find yourself dealing with damaged sheathing or multiple leaks, our Southern Illinois roofing technicians will arrive quickly to get you started on the fast track to emergency roof reconstruction. Our Southern Illinois roofing specialists will provide you with a free visual inspection as soon as we get on the scene, that way we will be able to determine exactly what needs to be done at no financial risk to you. Our company is fully licensed, bonded, and insured, and our Southern Illinois roofing specialists are eager to prove how committed we are to providing home and business owners with high-quality residential and commercial roofing services. Call our Southern Illinois roofing technicians today and we will arrive within 45 minutes to provide you with the competitively priced services you need to get your roof repaired as quickly as possible. Our trusted Southern Illinois roofing professionals work with all types of roofing, including asphalt, shingles, metal, rubber, TPR and PVC, so you can trust our licensed roofers to handle any job thrown their way. We deal with both residential and commercial roof issues, so when you hire us you can be confident in the fact that your property will be in good hands, no matter what the situation entails. Our Southern Illinois roofing techs know that time is a major factor when it comes to roof reconstruction and replacement. 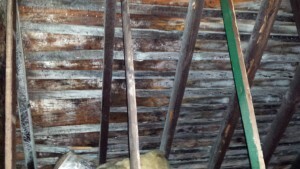 If you have cracks and leaks in your roof, then it can cause an increase in heating and cooling costs. It may also cause you to be exposed to the elements, which can be an internal and external stress on the structure. On top of providing you with expert roof construction services, our Southern Illinois roofing team also offers the most reasonably priced roofing repair services in the area, so call us today! Our Southern Illinois roofing professionals want you to understand how it will benefit you to maintain your roof coating. Applying a coating to your roof is a seamless procedure and, when it is installed correctly, can solve most roof leak issues on almost any type of roofing material. By using a reflective coating on your roof you can extend the life of your roof substrate, which will in turn keep the roof’s surface cool and protect it from the sun and other elements. Studies have also shown that cool roof coatings can lower rooftop temperatures and reduce air conditioning bills. Roof coatings can also help keep your property eco-conscious by extending your roof’s life up to 25 years and greatly reducing the amount of discarded roofing materials that end up in landfills. The only time you shouldn’t apply a coating to your roof is when you have shingles installed. By putting a coating over pre-existing shingles it can cause water damage, because the coating can prevent the shingles from drying properly after they have been exposed to moisture. 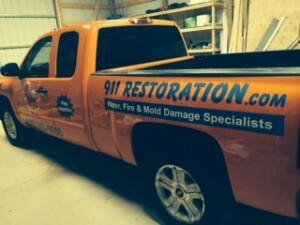 So, call our Southern Illinois roofing team at 911 Restoration of Southern Illinois today and we will do whatever it takes to give you the fresh start that you need after you experience roof damage.